Congratulations. You have just found the origin of the definition. Good for you. Now go make some and enjoy. ON EVERYTHING. *I find with the addition of the cookie butter, this is the perfect amount of salt, although feel free to adjust to your preferred taste. 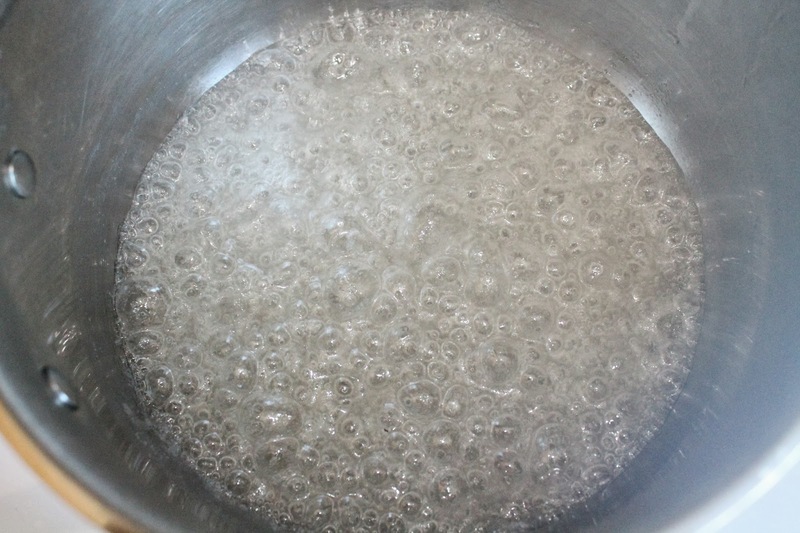 In a small saucepan, heat sugar and water over medium-high heat. Stir lightly only until the water and sugar are incorporated. Allow sugar to come to a boil, swishing the pan occasionally, until mixture turns dark amber in color, about 6 to 7 minutes. Color will develop quite quickly, so it's best you stay close to the stove. 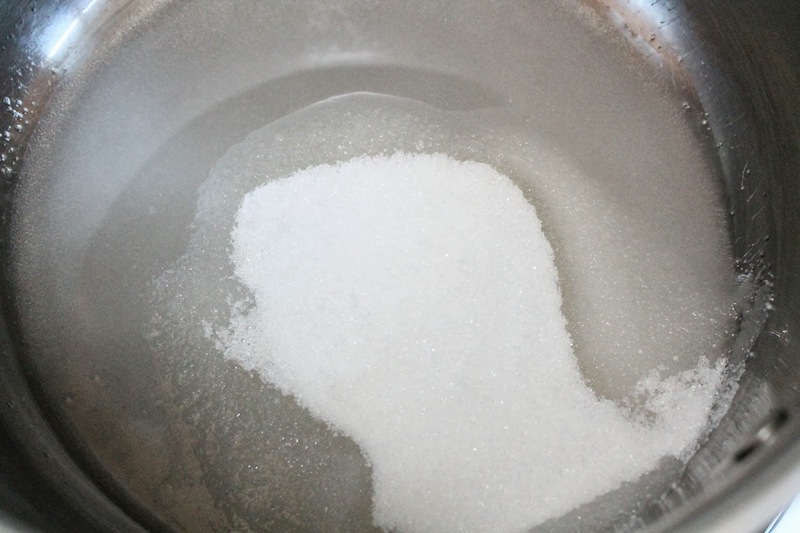 If sugar crystals form on the sides, use a pastry brush dipped in water to help dissolve. Remove from heat and slowly add heavy cream - the cream WILL bubble up, so take care when pouring in to prevent splatters. Add butter and stir until melted. 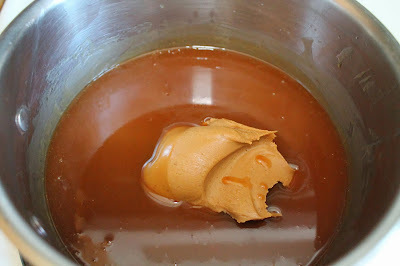 Stir in cookie butter until completely incorporated. This is FABULOUS on just about everything; ice cream, cake, popcorn (a post is on the way, so watch this space) Refrigerate any unused sauce. Oh my word! Found you on the FBC Pinterest board. This is like liquid gold - must TRY! 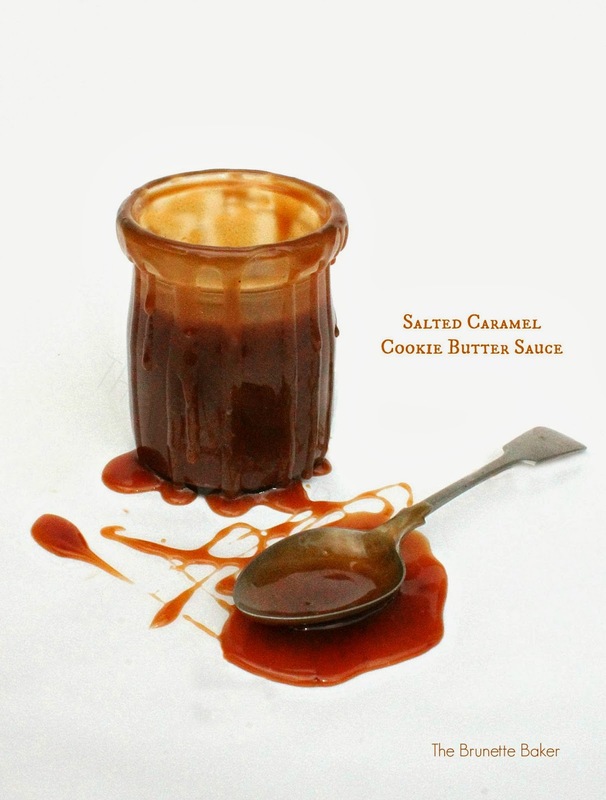 I cannot get enough of caramel sauce, especially when it is salted. I like your twist adding the cookie butter! WHAT THE EFF!!???? This is THE awesome sauce. Forrealsies. omg. Genius on the idea of adding cookie butter! Awesome sauce for sure...LOVE this! Well hello there yummy gooey sauce from heaven! Wow, this looks really good. I would not have thought to put salted caramel w/ cookie butter (mostly because I eat the cookie butter straight from the jar!) Thanks for sharing at Marvelous Mondays this week, pinned to my MM board! I need this just to eat with a spoon!! Thanks for linking up with What's Cookin' Wednesday!